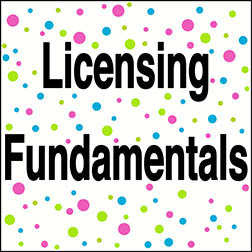 Art Licensing Editorial: Is There a Formula to Successfully License Art? Licensing art to manufacturers is a challenge. The competition among artists to license their work is growing as more and more artists enter the licensing industry. Different ways in selling products to consumers is evolving with the advent of Internet E-stores and kiosks in shopping malls as print-on-demand stores. These stores allow the production of popular custom and personalized art on products that has a wide range of art styles and themes. The different generations (Baby Boomers, Gen X, Gen Y/The Millennials, Gen Z) are influencing the type of products sold at retail. Each generation views the world differently and thus they purchase products with a diversity of art on them. As the majority of purchasing power is transitioning from one generation to another there is constant changes in art styles and themes needed to effectively sell products. And because of these fluctuations, there is NO set formula that an artist can follow to successfully license her/his art. However, there are certain fundamentals that artists can pursue to have a better chance in licensing their work. Below is a discussion on some of them that should help to get deals. Artists new to the art licensing industry often make the mistake in creating art with themes that “they” like but may not be what consumers want. The art MUST appeal to the mass market so that manufacturers can entice a profusion of consumers to purchase their products. Even if the art is extraordinary it may not be licensable if the themes or the art style does not appeal to enough consumers. It is difficult to find manufacturers to license art themes that are unlikely to sell products. Thus, artists that want to be successful in licensing art must create art with themes that consumers want. 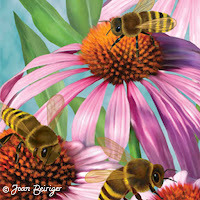 Get tips on creating beautiful licensable art by reading, "How to Create Art that is Licensable". And read the article "List of Art Trends" for themes that sell products year-after-year. The more licensable art an artist creates, the better chance she/he has in getting deals. Submitting lots of art with a variety of themes gives art directors more choices when selecting art to be licensed. 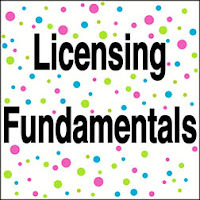 Also, as art licensing agent Jim Marcotte states in his article "10, oops, 17, Things You Need to Learn to Make It in Art Licensing", "The majority of what you create for licensing will never be licensed, so you need to create constantly and keep feeding it into the pipeline." It is SO true that a lot of the art generated is not licensed. But, do not despair that the art is kaput. Unlicensed images can be refreshed to look new or parts of it can be used in other images. It is not always possible, but working directly with a manufacture AD is better than just submitting art to a submission committee. By building a relationship with the AD she/he becomes more familiar with the artist work and also enables the artist to ask questions. Learning about the company and what themes are trending and/or big sellers is invaluable for creating new art. Hint: Being easy to work with, willing to compromise, and willing to alter art helps create a friendly relationship and gives the artist a better chance to get deals. Knowing when to submit the correct art themes to manufacturers may determine if the art will be licensed or not. Unfortunately there is no standard time of the year to submit the different art themes. Although, art is usually chosen by manufacturers at least 12 months in advance of the season or holiday. Each manufacturer tends to have their own deadlines so it is important to contact them. A few manufactures have art licensing guidelines and submission deadlines on their websites but the majority of them will need to be contacted. Some manufacturers periodically send emails to artists that are on their art call-out requests. Ask art directors if they request art by doing call-outs and if they do ask to be put on the list. Licensing art is VERY frustrating because getting deals is hard, VERY HARD. Artists can submit a lot of art that they know is perfect for the manufacturer's product line and they never hear back from the AD. However, unless they are persistent in submitting art they never will license their art. Every successful licensed artist has gone through the frustrating process of submitting art and not getting deals. The one thing they all have in common is that they did not give up. Read artist Barbara Johansen comments on not giving up in the article "Don't give up Your Dreams and Grow a Thick Skin - Part 1" and artist BJ Lantz comments in the article "Don't give up Your Dreams and Grow a Thick Skin - Part 2". Both these articles were written in 2009 and the information the artists shared still applies today. It is crucial to create, create, create AND submit, submit, submit art to successfully license it. Getting a deal takes time, sometimes M A N Y months, so be patient and do NOT give up! Everyone has an opinion on what it takes to become successful in art licensing. Below are opinions by three-experienced agents. But, beware that these articles were not recently written. If the authors are asked today about how to license art their opinions may be different due to the transformation of the art licensing industry.